The commission has also asked for details of the attacks on journalist in the last two years in the state and the status of relief provided to the victims and their families. 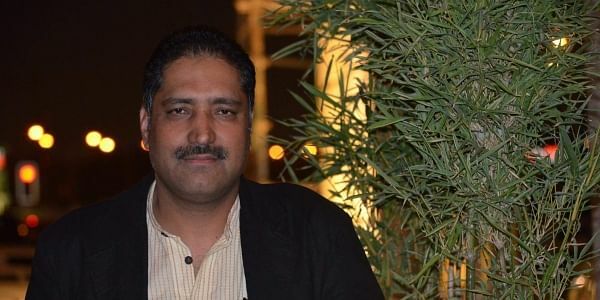 NEW DELHI: The National Human Right Commission has issued notice to the Government of Jammu and Kashmir calling for a detailed report into the killing of journalist Shujaat Bukhari and his two personal security guards on Monday. Taking cognizance of the media reports network of editors and media practitioners Samden, which urged the NHRC to seek swift action into the killing of Bukhari and two personal security guards in Lal Chowk area of Jammu and Kashmir last week, the notice was issued. The commission has also asked for details of the attacks on journalist in the last two years in the state and the status of relief provided to the victims and their families. "The State Human Rights Commission is closed for summer vacations till 30th June, 2018 and till date, cognizance of this case has not been taken by them. The way, Shujaat Bukhari had been killed by the miscreants indicates that the media persons, even those who have been provided police protection by the State Government, are not safe in the valley. This is a case of violation of Right to Life of the victim and the incident is causing serious threat to free speech and freedom of press in the State" said the statement issued by the NHRC. Bukhari the editor of Rising Kashmir was shot dead by unknown miscreants in broad daylight, the murder resulted in nationwide uproar, with political parties condemning the attack. The Commission has issued a notice to the Chief Secretary and the Director General of Police of the State of Jammu & Kashmir calling for detailed report in the matter within four weeks.